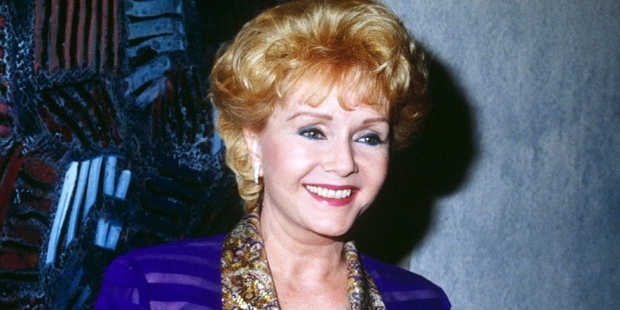 Debbie Reynolds is an American actress, entertainer, businesswoman a noted collector of film memorabilia along with being a renowned film historian. She has won acclaim for her memorable debut as ‘Helen Kane’ in the 1950s film ‘Three Little Words’, which won her a nomination for the Golden Globe Awards for the ‘Most Promising Newcomer’. She was on the path to worldwide fame after her role as Kathy Selden in ‘Singin’ in the Rain’ at the young age of 19 years. By the middle of the 50s decade Debbie was a major Hollywood movie start. Debbie was born as Mary Frances Reynolds on the 1st of April in 1932 in El Paso, Texas to Maxine and Raymond Francis Reynolds, a carpenter for the Southern Pacific Railroad. She is of Scottish-Irish and English ancestry and also a Girl Scout and a troop leader. The Reynolds' moved to Burbank, California in 1939 where she spent most of her childhood. In 1948, at age 16, Debbie (while attending the Burbank High School) won the Miss Burbank beauty contest. Soon, she won a contract from the Warner Studios and changed her first name. After having been chosen by Warner Bros’ Studios, Debbie started giving regular appearances during the 1950s and also managed several hit records in movie musicals. 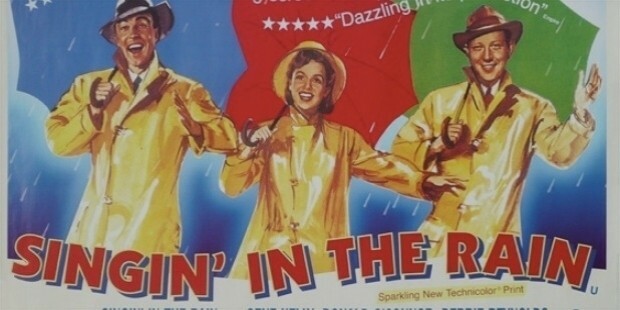 Her most highly applauded role was in the musical, ‘Singin’ in the Rain’ in 1952, as Kathy Selden. She also appeared in 1956 in ‘Bundle of Joy’ with her then-husband, Eddie Fisher. Reynolds is credited with scoring two top-25 Billboard hits with ‘A Very Special Love’ in 1958 and ‘I Am An Easy Target’ in 1960 – which was a pop-music version of a country-music genre hit song. She was also popular during this time in the larger Las Vegas showrooms. Debbie recorded her last CD Christmas Record with the late Donald O’Connor which was titled, ‘Chrissy the Christmas Mouse. Debbie was also a celebrated actor and singer with various memorable and awarded roles to her credit. 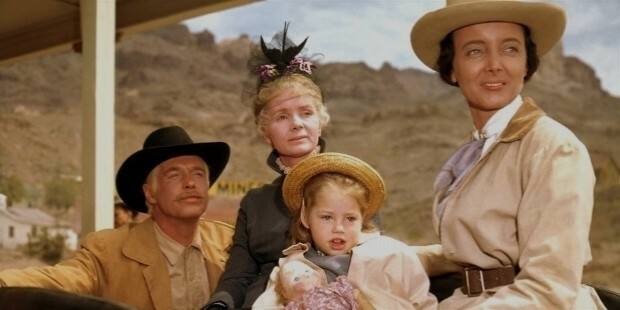 She was nominated for the ‘Academy Award for Best Actress’ in 1964 for ‘The Unsinkable Molly Brown’. She is also known for playing popular character such as Helen Chappel Hackett’s mother, Deedee Chappel, in a Wings episode titled, ‘If It’s Not One Thing, It’s Your Mother’, which was first aired in November 1994. In the Will & Grace series finale from 1999-2006 she appeared as Grace Adler’s mother, Bobbi Adler, which earned won her a nomination for the ‘Outstanding Guest Actress in a Comedy Series’ in 2000. 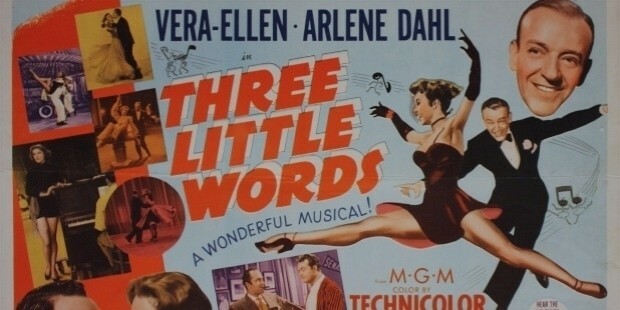 Debbie Reynolds won the nomination for the Golden Globe Award for Most Promising Newcomer in 1950 for ‘Three Little Words’. In 1956, Debbie was again nominated for a Golden Globe in 1956 for ‘Bundle of Joy’. In 1959 she released her first pop music album titled, ‘Debbie’. Portrayed the boisterous Molly Brown in the biographical film, ‘The Unsinkable Molly Brown’, she was nominated for the Academy Award for Best Actress. 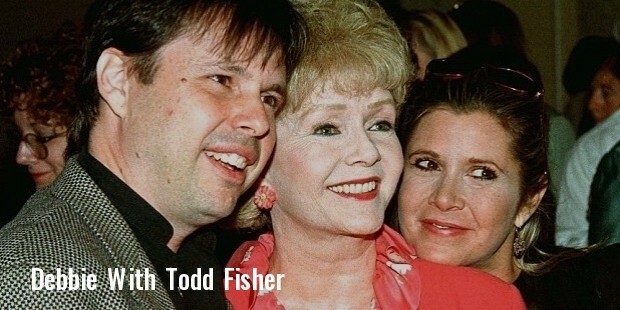 Debbie Reynolds has been married three times, with the first marriage being with Eddie Fisher in 1955 which gave birth to Carrie Fisher and Todd Fisher. After divorcing Fisher in 1959 Debbie later married millionaire businessman, Harry Karl, in 1960 and finally divorced him in 1970 after accumulating a massive debt due to Karl’s gambling and bad investments. From 1984 to 1996, Debbie was married to real estate developer Richard Hamlett. 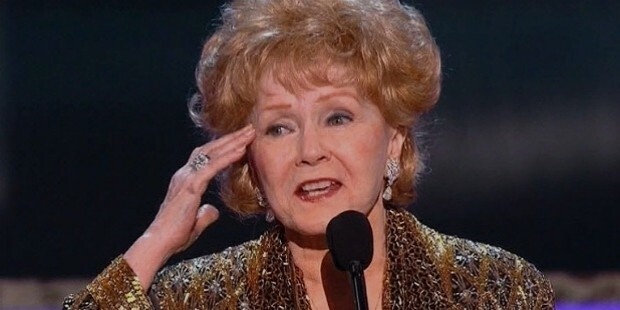 Debbie Reynolds died on 28th December, 2016 due to heart stroke. She died just one day after her daughter Carrie Fisher's death.